Duck Key Florida is composed of five islands (Yacht Club Island, Harbour Island, Center Island, Indies Island and Plantation Island) all of them joined by a series of white venetian-style bridges. Little white bridges and only one road. Yep the only way to drive on and off from the seclusion and tranquillity that is found in the area is the one road that connects the islands to the US1. Each of the islands are surrounded by a canal which means literally half the properties or lots offer front dockage or open water views. A kind of Florida Key Venice if you like. And like the more famous Italian canals based city, one of the main focuses in living in Duck Key Florida is a laidback way of life. All over the Florida Keys, the residents enjoy the outside life, and really thrive when it comes to water based activities. Diving, snorkelling, fishing are on many people lists of things to do as soon as they can get away from the office. At Duck Key its even easier, due to the water frontages of the homes, you can basically jump out of your PJ’s and dive out your front door into the water !!! The history of Duck Key can be linked to one man Bryan W Newkirk, who was the chap who had the foresight to start developing Duck Key. Apparently during a game with his mates, he had a little wager. Actually it was a bit more than a little wager, as the round brought him the choice of either $10,000 or the option of buying an island. "I was having a game with the City Attorney for Coral Gables, Ted Semple" Bryan Newkirk told the Miami News,"and he kept talking about this property he knew about in the Keys. He was really cranking up the heat on me to spend my cash. I couldn't concentrate on my game. Finally, in order finish the game before dark, I told him to stop all the talk, and I'd buy it. Yep, without even seeing it, we agreed on a price of $47,000 and finished the game." He had a dream you see, and would not be diverted from what he felt was required for the area, although because of its swamps and mangrove trees needed a lot of work to get going. Newkirk dreamt of an island resort community which would bring tourists from not just across America, but from all four corners of the world, and a secluded and private community for the residents. So he opened his wallet and counted out $47,000 to pay for the area. Well it would have been, even in the 1950’s, if he hadn’t then had to spend millions more dollars turning it into what it is today. 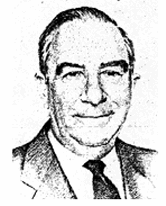 He began in earnest in 1952, when he built the first of the bridges and then had the ability to bring the contractors and pumping equipment across to start work. It was quite a job, with the pumping of 2.5 billion of yards of fill onto the site, the construction of 4 miles of canal and the smaller islands within the island built for residential purposes. It wasn’t easy, but if you were to slog your guts out following a dream where better to do it that in the Florida Keys? 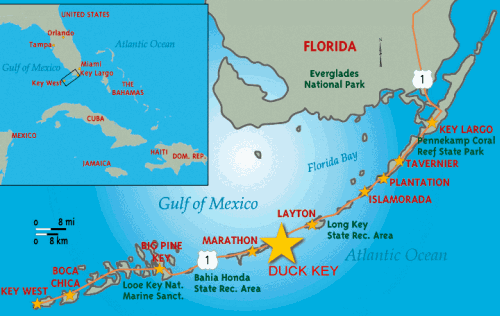 If you want find out even more about the Duck Keys fascinating history click here. If you are looking for some vacation rentals Florida Keys style, then let us be the ones that point you in the right direction. Florida always conjures up images of Mickey Mouse, terrifying rollercoasters and long sandy Floridian beaches. But you know something a little special. You know that just a hundred or so miles down the road there lies the Florida Keys. An area of Florida that can give you a quite different Florida vacation than the mainland where everyone goes. 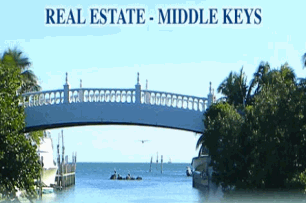 And Duck Key Florida with its connection of interlinking canals is certainly near the top of many peoples places to rent. So check out our list of the best and most reputable rental companies in the Florida Keys.